The game was supported by some very enthusiastic locals as well as the other members of the Croatian touring party. 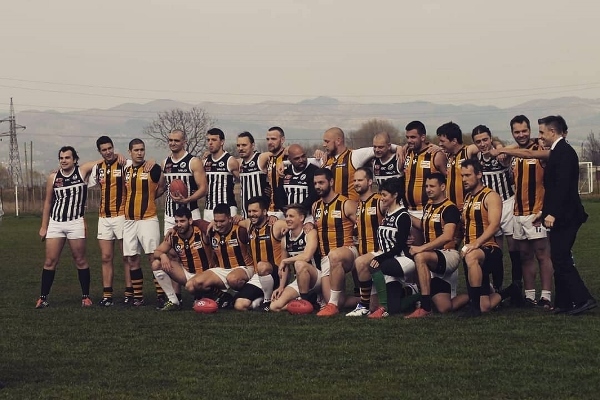 Scores will follow later, but the winner wasn’t on the scoreboard – it was a clear victory for the Sofia Magpies, AFL Bulgaria and also the visiting Zagreb Hawks. 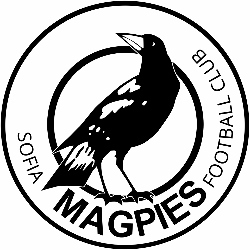 What happens next for the Sofia club is being worked out now, but already they know they are welcome in Croatia and could very well become a part of the Central European Australian Football League which already incorporates teams from Croatia, Austria, Czech Republic and recently Italy. The addition of a team (or later teams) from Bulgaria would further extend the tentacles of Australian Rules football across Europe and almost connecting through to Asia. 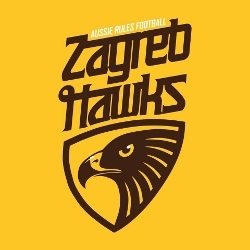 Well done to the Zagreb Hawks also for travelling so far in the name of footy and helping the Magpies on their journey.